And the Guitar Was Born! The telephone rings. Pegg's back suddenly stiffens, she adjusts her glasses before picking up the phone. She can tell by the timbre of the voice that asks for Ted McCarty that it's bad news for her boss. The speaker doesn't introduce himself: He's been calling the shots at Gibson for years, to the extent that all solid-body guitars of the brand sport his name. Les Paul is divorcing Mary Ford after 13 years of sharing the stage and their lives together. And the contract between the company and the guitar player has just come to an end, not to be renewed. Despite the musician being away from the stage and his name being removed from the company's catalog, the guitar would still get itself talked about quite a bit. You can't simply put an end to a legend just like that. Before becoming the million-dollar guitar it became, the Les Paul had to be retouched several times. When it came out in 1952, the guitar made up of mahogany and maple featured a golden finish (that's how it got the Goldtop name). It was a sort of premonition of the success to come, but the guitar still had some defects. Especially the angle of the set neck, which forced the manufacturer to use a bridge previously conceived by Lester: A trapeze module that was sold as a spare part and clumsily adapted to the situation in order to reduce the height of the strings. Because to achieve that, Gibson simply placed the strings under the bridge! Even Lester refused to support it due to the tuning, sustain and usability problems it entailed. 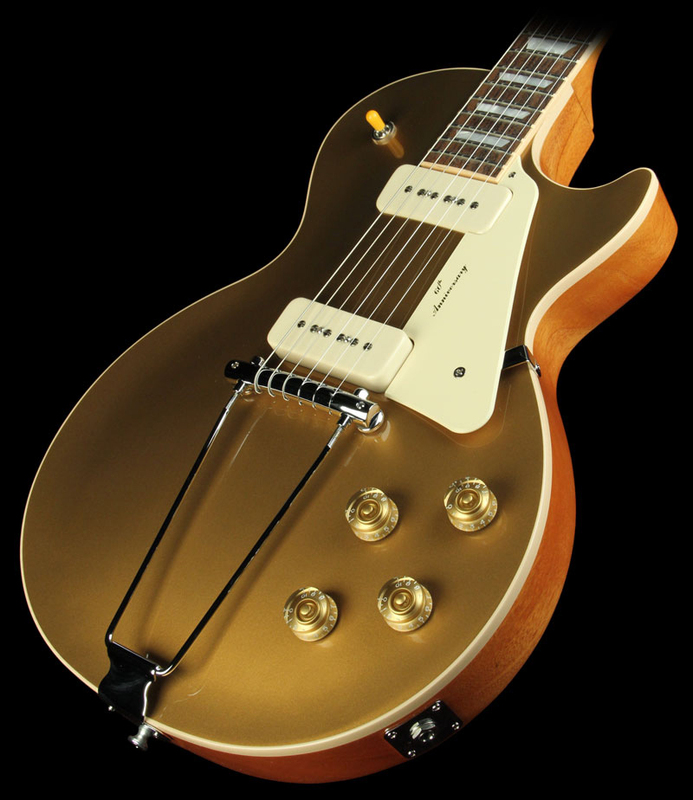 The company rectified quickly by introducing a second Goldtop version with an odd bridge-tailpiece system with two adjustable screws and a more pronounced angle. This bridge would also be replaced, on the 1955 version, by the Tune-O-Matic conceived by Ted McCarty, a system that allowed the guitar player to adjust the length of each string. While the brand still owed a lot to Lloyd Loar, it was another name that would make the Les Paul sound for decades to come: Seth Lover. Employed as an external consultant to the company, the radio-and-electronics expert joined Gibson in 1952. Lover specialized in pickups and he had a unique view on the subject. 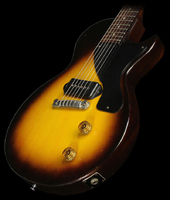 When Gibson asked him to conceive a pickup that could outpower the P90 and compete with the De Armond Dynasonic, he came up with a new type of square design made of Alnico 5: The 480 or "Staple" would equip the Les Paul Custom, the L5 and the Super 400 for a short period of time. But it would be his second concept that would trigger a revolution in the electric guitar market: The PAF pickup, the first official humbucker. Created in 1955, it was featured on the Goldtop and Custom beginning in 1957, and would remain a Gibson staple for all eternity. A pair of original 1959 pickups are worth about 10.000 dollars today. That says it all. The Custom: Introduced in 1954, it cost 100 dollars more than the Goldtop ($225 MSRP back then). Made mainly of mahogany, it had a rounder sound and flatter frets. Its black finish and ebony fretboard were chosen with Lester in mind, to highlight the hands of the musician on stage. It also had a different neck pickup on the '54 version (the famous 480 by Seth Lover) and three PAF pickups on the 1957 version. The Junior: Aimed at beginners, the Junior was the entry-level model in 1954 and was sold for less than 100 dollars. It didn't have a carved top and featured only one pickup. From 1956 it was also available with 3/4 scale. The TV: Introduced in 1955, the Les Paul TV was in fact a Junior with a more natural finish (pale yellow, you could say). It's easy to infer where the name of this model came from, since it coincided with the beginning of the "Les Paul and Mary Ford at Home" show, which made the couple celebrities. 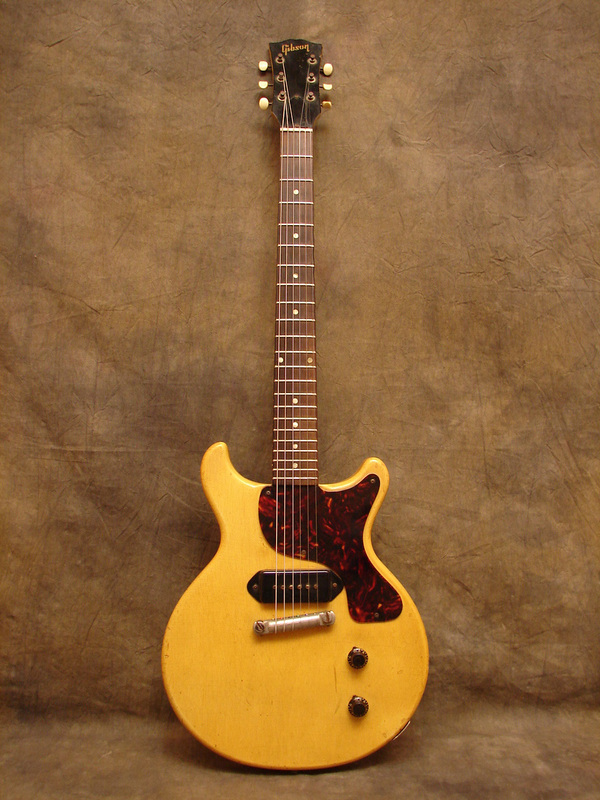 The Special: Yet another tweak on the Junior, with two pickups and with the same finish as the TV, it was introduced in 1955. Like the Junior in 1956, the Special would also have a 3/4 version in 1959, and only 12 copies were sold that year! In 1957, the Goldtop was at its height: It already featured a couple of nice PAFs and a reliable and precise bridge (the Tune-O-Matic was already a staple of its design). However, sales started to decline the same year. Guitar players clearly preferred a new rising star that had appeared some years before in California: The Stratocaster. In 1958, Gibson decided to change the look of the Goldtop to drive sales, which were still decreasing. That's how the golden top gave way to the Cherry Sunburst and to book matching, a carving technique that allowed the manufacturer to achieve an homogeneous and symmetrical top design. Its finish being transparent, not golden, the Les Paul would be attired in its most beautiful outfits for its few remaining years before its temporary demise. Gibson could almost kiss the sky, but the abyss was never far. Some guitarists complained that they couldn't use their thumb on the low E string, so, Gibson modified the shape of the Junior and TV in 1958. The single cut was abandoned in favor of a double cutaway for all four models. In 1959, the sales numbers of the Junior exploded and the Special did pretty well, too, in comparison to the poor results of the Sunburst and Custom. The ax was about to fall on those two models! 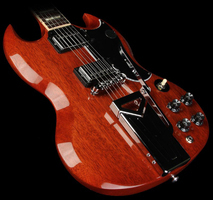 In 1961, the unimaginable for any Les Paul fan happened: The SG claimed its throne. But not only that, the Les Paul virtually disappeared from the brand's catalog. That year, the SG became the Les Paul Standard, Custom and Junior. After seeing it for the first time in a music store, Lester called Gibson up to have his name removed from such pointy guitars. It wasn't only the sharp-looking design of the SG that would mar the relations between the company and Lester in 1963. In fact, Lester's contract with Gibson had expired one year before and his marriage to Mary Ford was moving in the same direction. The renewal of the contract and the need for money forced Lester to share the earnings, since his divorce wouldn't be official until 1964. At Gibson, rumors were that Lester and Mary weren't selling as many albums as they did in the late '50s. 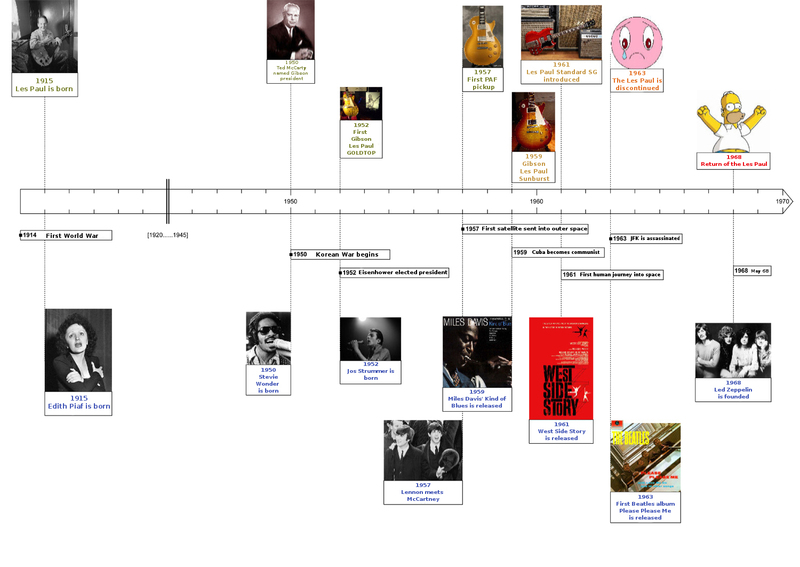 And so, his name disappeared from Gibson guitars the same year JFK was murdered (1963). In 1965, he put down his guitar and closed his studio for almost a decade. The Gibson Les Paul stopped being manufactured in 1963, but great guitar players would lead the way to its resurrection. In 1964, Keith Richards started playing a Sunburst he had bought while on tour in the US. In 1966, Michael Bloomfield and Eric Clapton played a Goldtop and a Sunburst, respectively. No to mention Jimmy Page, who played a Custom with three pickups in the studio before joining Led Zeppelin. And even Jeff Beck would replace his Esquire with a Sunburst. During five long years, guitar players around the world would make the Les Paul Standard and Custom true cult objects — electric idols made of wood that people would fight over in secondhand stores. In 1967, many guitar players were desperate because the several thousand secondhand Les Pauls weren't enough for the growing number of fans. The following year, Gibson relaunched the Les Paul Goldtop and Custom and the factory quickly started manufacturing reissues. 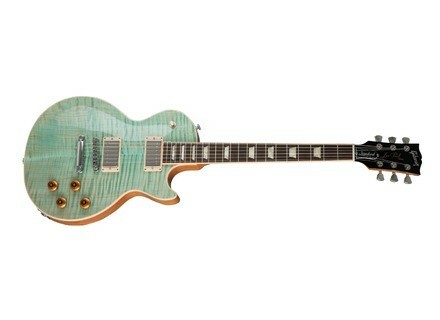 With a new contract in hand, Les Paul would get $5 for every guitar sold. 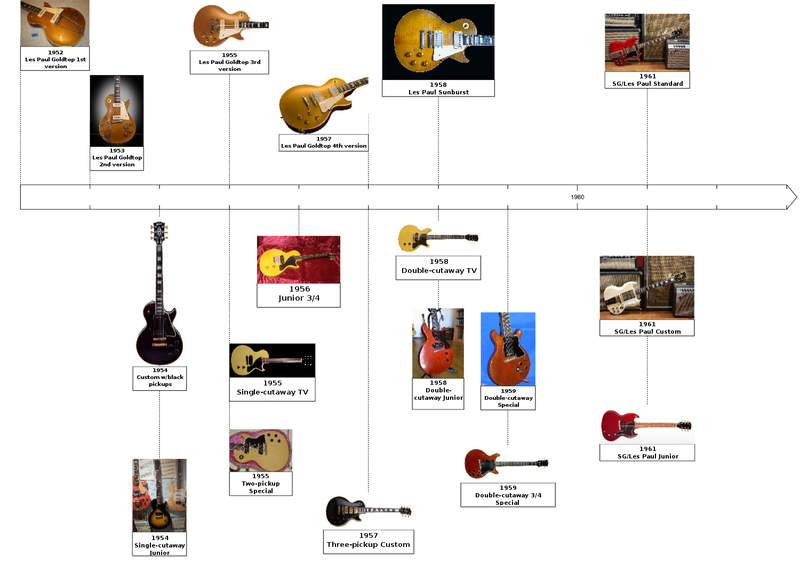 Gibson would never again stop selling this guitar, introducing over 60 models until 1993. The name Epiphone is a compound word made up of the nickname of the company founder, Epaminonda Stathopoulos (aka Epi), and "phone." When Lester had his car accident in 1948, doctors told him that they could not rebuild his elbow and had to pin his arm so he wouldn't lose it. Paul asked them to set it at an angle of 90 degrees so he could still play guitar. The red color of the Sunburst was UV sensitive, so a true connoisseur would be able to tell how long a Les Paul has been on display before being sold. The PAF (Patent Applied For) pickup has kept the same characteristic sticker (visible under the cap), even after getting a patent in 1959, to avoid counterfeiting. And even when the patent number was granted, management changed it and printed instead the one of a tailpiece on the pickups. 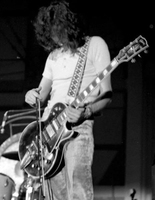 Eric Clapton's Les Paul was stolen during the rehearsals for the first Cream tour. Eric Clapton offered George Harrison the Les Paul he used to record the solo on "While my Guitar Gently Weeps" — just before he stole his wife! SG stands for "Second Generation." An original 1959 Sunburst sells today for about half a million dollars. Recording electric guitar - With or without effects?